This one-day course covers all the familiar first aid subjects, with a focus on the boating environment. 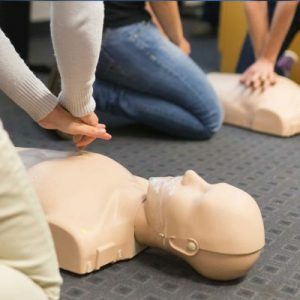 Whether this is your first introduction to first aid or you are looking to refresh your knowledge and skills, this course is designed to provide a good working knowledge of first aid for anyone going afloat, small craft users and to support skippers. Advanced Powerboat certificates of competence. Please note this course is non-residential. If you would like to arrange accommodation nearby, please see our information page for some suggestions. To achieve a working knowledge of first aid for people using small craft and to be able to support skippers of yachts and motor boats. Minimum entry standard: no prior knowledge required.